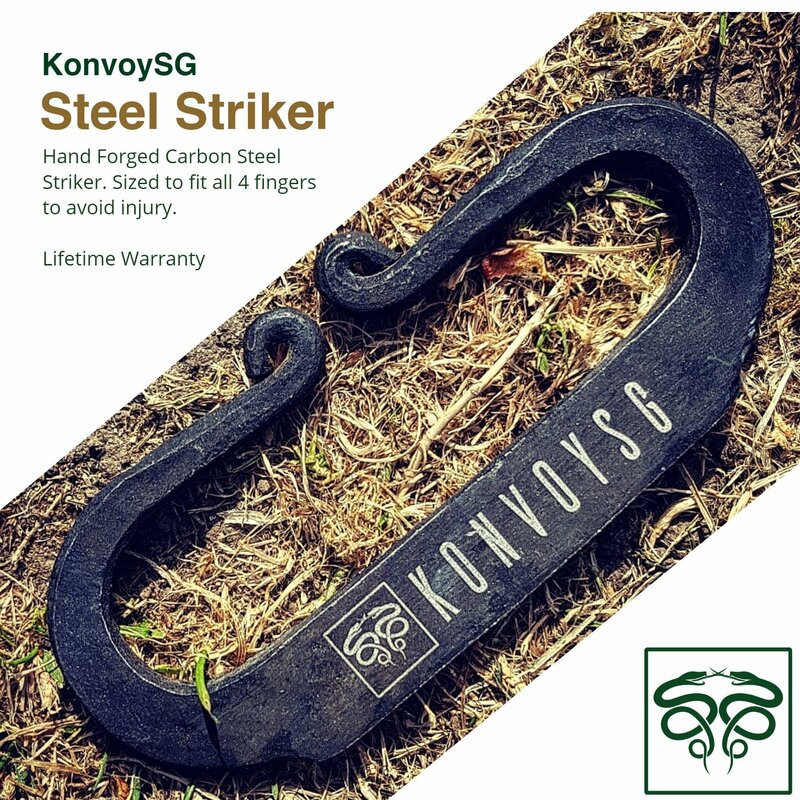 – HIGH QUALITY – Carbon Steel Ideal For A Fire Striker. 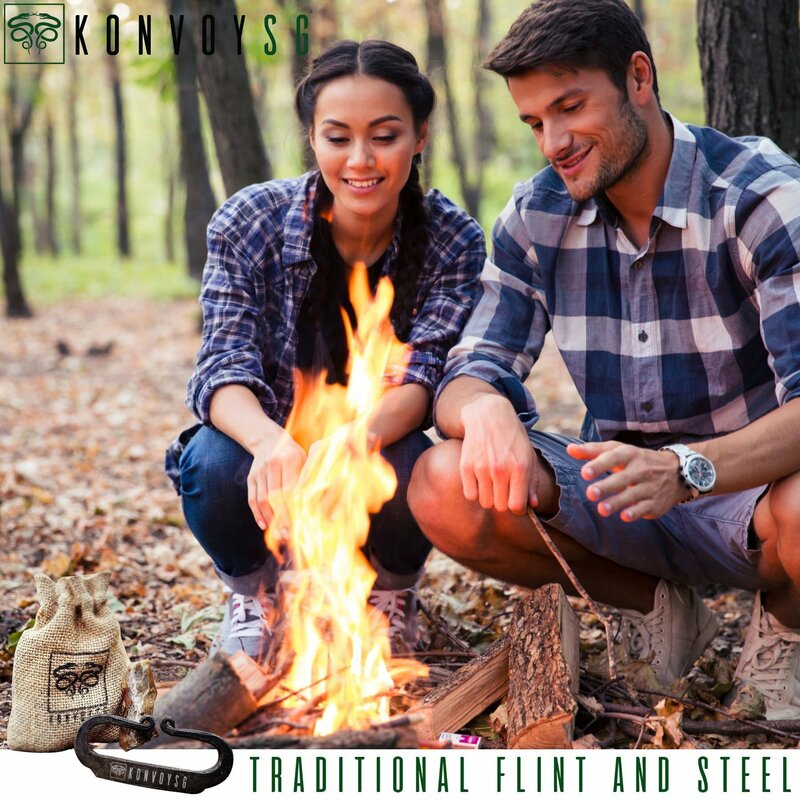 – HAND FORGED – Each Piece is Unique And Hand Crafted To Perfection. – SIZED TO FIT – Large Enough To Fit All 4 Fingers For A Comfortable Fit And Maximum Impact. 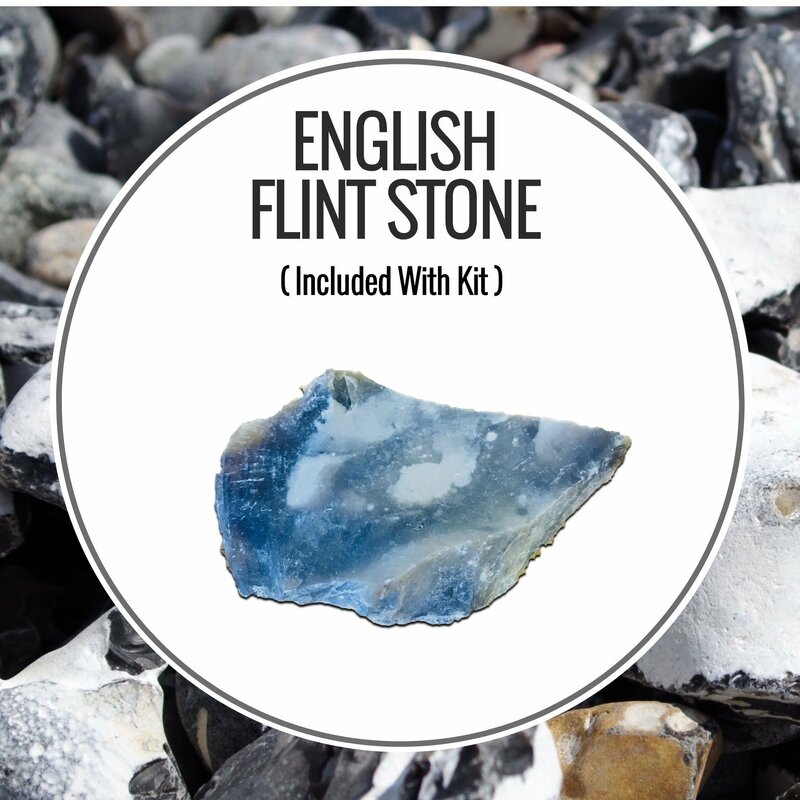 ENGLISH FLINT – Sourced from the British Woodlands. 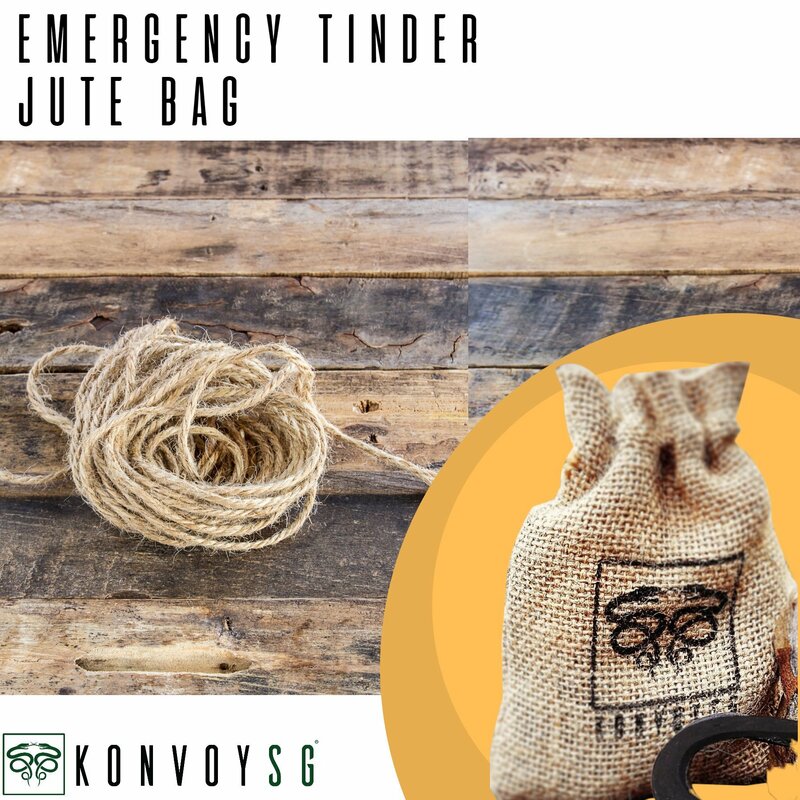 – DURABLE – Medieval Jute Carry Bag. 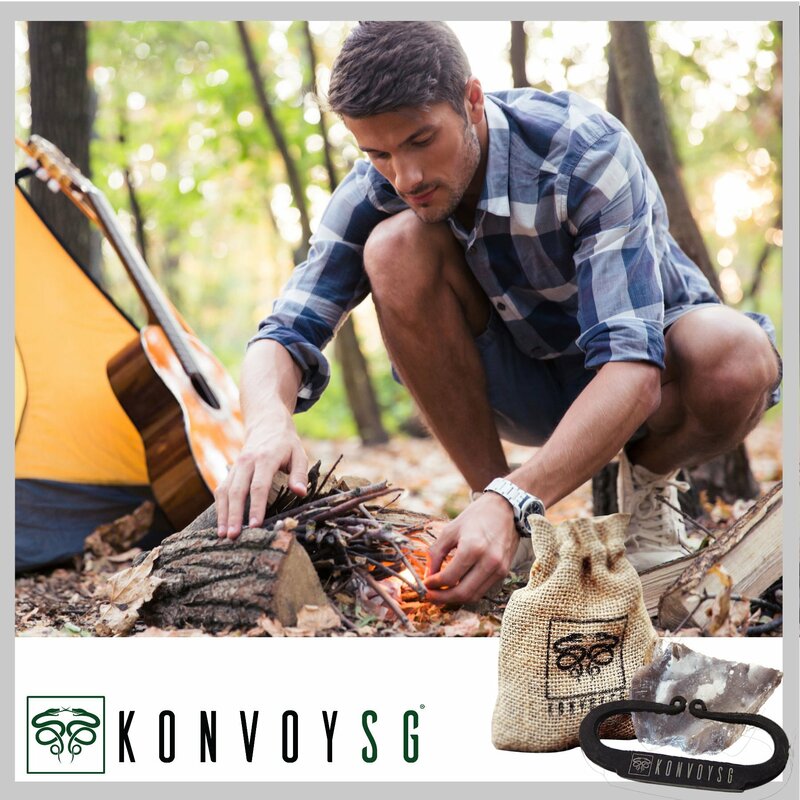 – IDEAL GIFT KIT – Loved By Any Bushcrafter or Outdoor Enthusiast Who Appreciates Traditional Fire Starting Methods.